In October, 2008 the FDA, Food and Drug Administration, required that Bayer HealthCare Pharmaceuticals, the maker of Yaz and Yasmin, change their advertising campaign and product packaging for Yaz, Yasmin and Ocella. The FDA claimed that Bayer's marketing downplayed the potential dangers of the drugs and marketed Yaz and Yasmin for purposes not approved by the FDA. FDA regulators issued Bayer a warning in October, 2008 that contained the FDA’s findings concerning Yaz, Yasmin and Ocella. According to the FDA, Bayer marketed Yaz and Yasmin for uses not approved by the FDA. In the legal risks section of their 2011 Annual Financial Report, Bayer outlines the status of the Yaz litigation for investors and indicates for the first time that some settlements have been reached. Although details about the Yaz settlements has not been disclosed, Bayer did indicate that they are continuing to consider settling lawsuits on a case-by-case basis. Do I have a Yaz, Yasmin or Ocella Lawsuit? Fears | Nachawati Law Firm is currently accepting Yaz, Yasmin and Ocella cases on a Nationwide Basis. 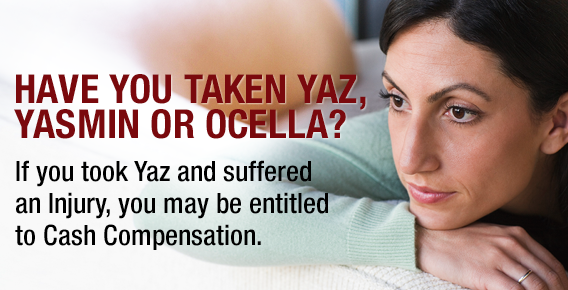 If you or someone you know has been injured by Yaz, Yasmin or Ocella, contact our Yaz Attorneys immediately for a Free Case Evaluation. 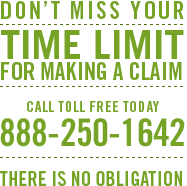 Please use the form on this page or contact our Yaz Lawyers toll free 24 hours a day at 1.888.250.1642. How did Yaz cause my Injuries? How did Bayer get away with this? Have other people in my situation filed lawsuits and recovered money? Do I have a Yaz case? In October, 2008 the FDA, Food and Drug Administration, required that Bayer HealthCare Pharmaceuticals, the maker of Yaz and Yasmin, change their advertising campaign and product packaging for Yaz, Yasmin and Ocella. The FDA claimed that Bayer’s marketing downplayed the potential dangers of the drugs and marketed Yaz and Yasmin for purposes not approved by the FDA. FDA regulators issued Bayer a warning in October, 2008 that contained the FDA’s findings concerning Yaz, Yasmin and Ocella.According to the FDA, Bayer marketed Yaz and Yasmin for uses not approved by the FDA. Fears | Nachawati Law Firm is currently accepting Yaz, Yasmin and Ocella cases on a Nationwide Basis..If you or someone you know has been injured by Yaz, Yasmin or Ocella, contact our Yaz Attorneys immediately for a Free Case Evaluation. Fill out our law firm’s form or call today while there is still time to submit a claim and hold companies responsible for placing you or your loved one’s lives in danger.